In the following section there are some interesting life histories. 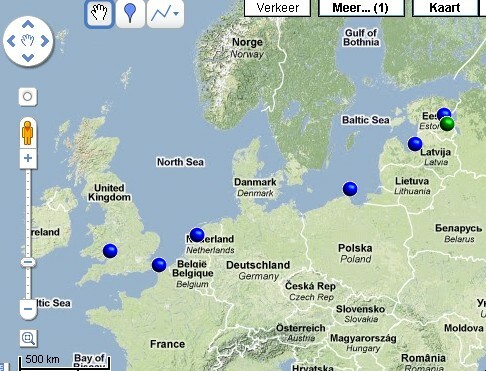 Ringed in Amsterdam, Schinkel as adult male on Feb 5th 2012 and March 2th 2012 sighted in Maltanskie lake, Poznan, POLEN. Surprise is the sighting later on June 27th 2012 in Velikiy ustyug, Vologda, RUSLAND! 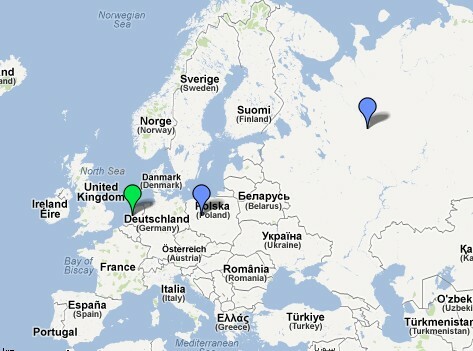 My most far east record so far (2600 km) of a Black-headed gull. Ringed in ESTONIA as a nestling on June 14th 1991 and recaptured and ringed with a second (!) ring in POLAND on March 17th 1995. In the following years he is seen quite often in February-March in Amsterdam THE NETHERLANDS. On March 18th 2006 he is captured again in the Oosterpark in Amsterdam where gets a colour ring. He has lost the aluminum Matsalu ring !!! In subsequent years the colour ring is read regularly. Most likely, he breeds in ESTONIA and the migrates through FRANCE towards ENGLAND where he overwinters every year. And in spring he migrates trough THE NETHERLANDS and LATVIA to his breeding site in ESTONIA. 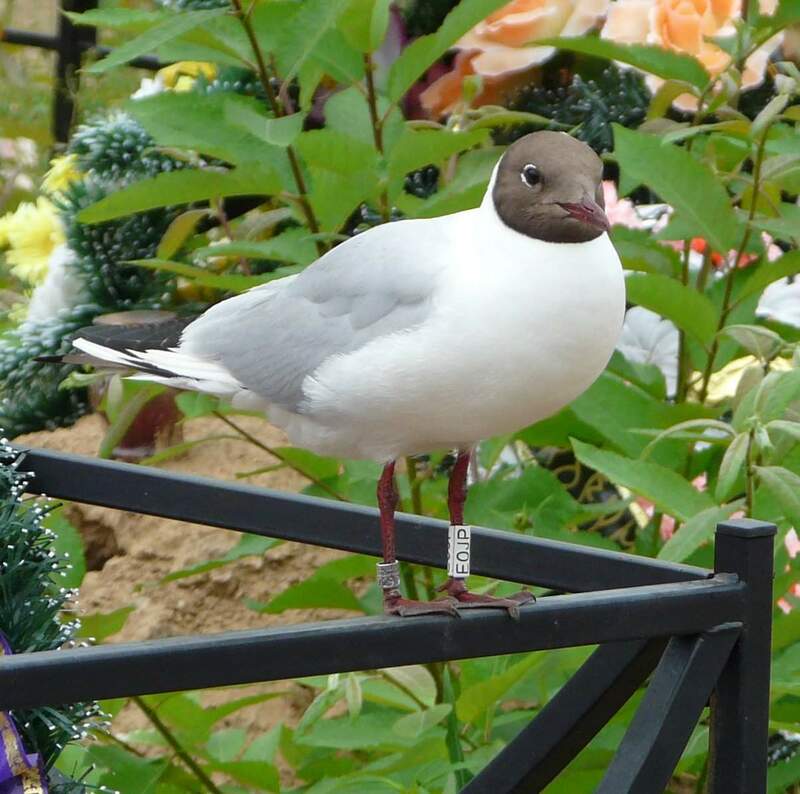 In total, this Black-Headed Gull has been observed in 6 different countries. A record for my colour ring research ! 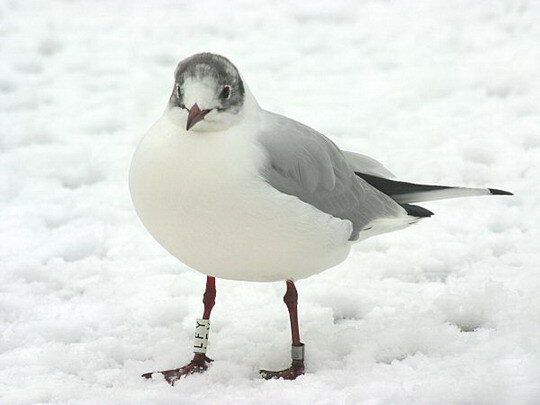 This Black-Headed Gull is ringed by me in Arnhem, Musis Sacrum on Nov 6th 2004, as a first calender year male. In the following winters he is read briefly in Arnhem. Beginning of February he is seen in Sleeswijk-Holstein and end of March 2009 in Riga, Lithuania! 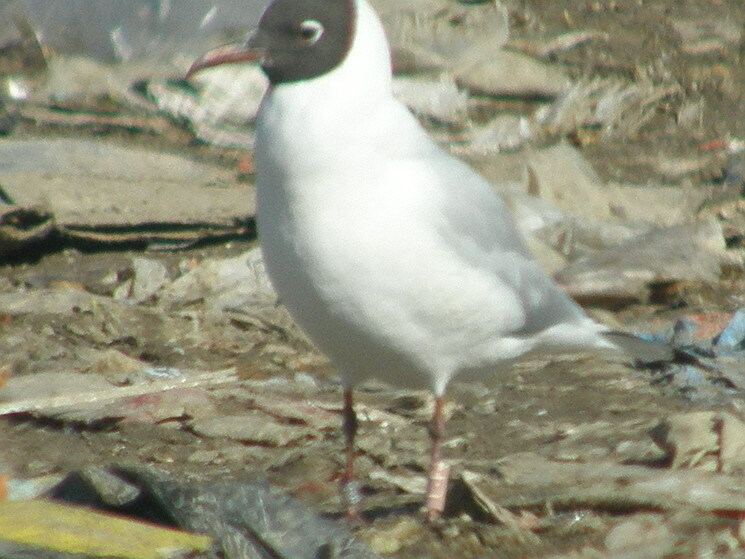 This Black-headed Gull is ringed by me in Arnhem, Musis Sacrum on Nov, 6th 2004 as an after first calender year male. In the following years he is read numerous times including in November on the ringing site. Once he is seen in December in Belgium. In December 2008 and February 2009 he is read in the city of Maastricht. On March 8th 2009 he is seen near Zagreb, Croatia. This is the first recovery from Croatia of ringed Black-headed Gulls by me. 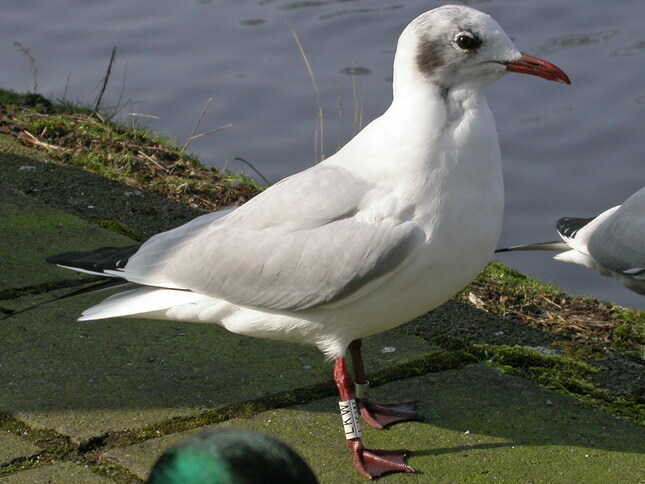 This Black-headed Gull is ringed by me in the city Groningen, Noorderplantsoen (Kerklaan) on November 28th 2003 as an after second calender year male. Also in the next winters, this bird is read in November and December at the ringing site. On November 27th 2008 he was read in the city Groningen. Later in the winter he continues to migrate on February 26th 2009 he is read in Portugal, river Jamor, Lisbon! 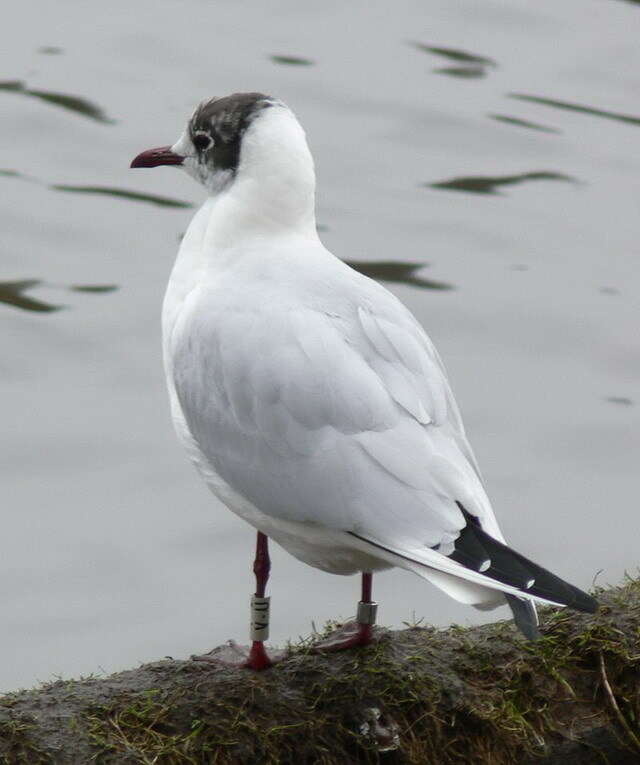 This Black-Headed Gull is ringed by me in Hilversum, Compagnieweg on November 5th 2002 as an after first calender year female. In Februari 2006 she is read in Pinto, Madrid , Spain. In April 2006 and March 2007 she was in Gdynia-plaza, Gdansk, POLAND. In Jan 2008 she was at Pinto again, Madrid, Spain and in December 2008 near Zumaya, Basque Country, Spain! This Black-headed Gull is ringed with an aluminium Gdansk ring in Bojano, Koleczkowo, Szemud, POLAND on June 17th 1999 as a young male, unable to fly freely yet. On Jan 12th 2001, I have added the colour ring white LFY in the city of Groningen, Noorderplantsoen Ebbingestraat. White LFY breeds in POLAND, while migrating, travels through GERMANY and is wintering in Groningen. With frost it migrates to the middle of NL. Sometimes, with late frost it flies back from GERMANY to Groningen. ©Google Maps: markers are clickable, zooming in and -out, and sliding is possible. 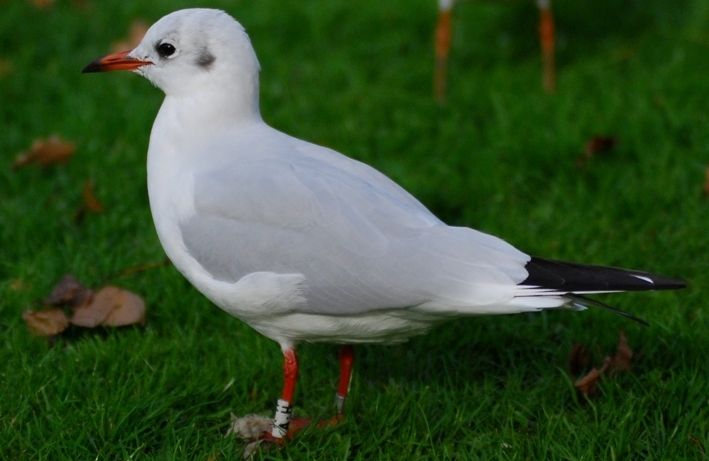 Black-headed Gull blue A6 is ringed in Arnhem, Musis Sacrum, on Oct 17th 2000 as an after first-year male. A week later he is already in Gabicce, Pesaro, ITALY. Every year in summer/autumn (July through October) he is in Arnhem, and in the winter in ITALY. In summer he is spotted in Latvia, which indicates that he breeds here. 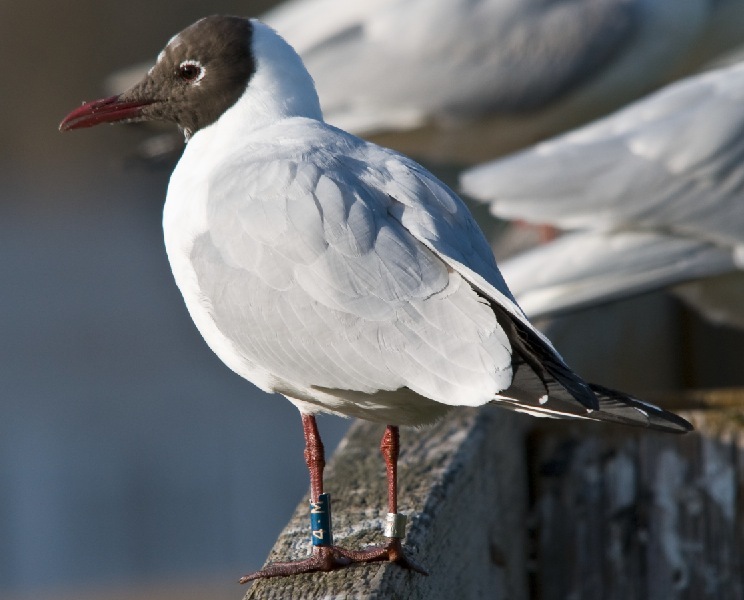 This Black-headed Gull is ringed with an aluminium Bratislava ring in Piestany, Slovakia, on May 23rd 2003 as a nestling, unable to fly freely yet. On Oct 24th 2003 I have added the colour ring White LSL in Arnhem, kade A48. 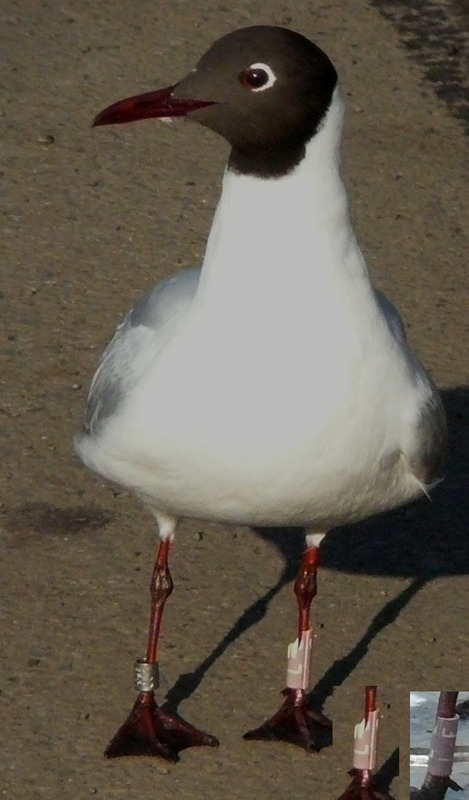 Black-headed Gull White LSL breeds in Hungaria. In the summer/autumn, from July to October present in Arnhem. Travelling through during migration he is read in Northern ITALY. 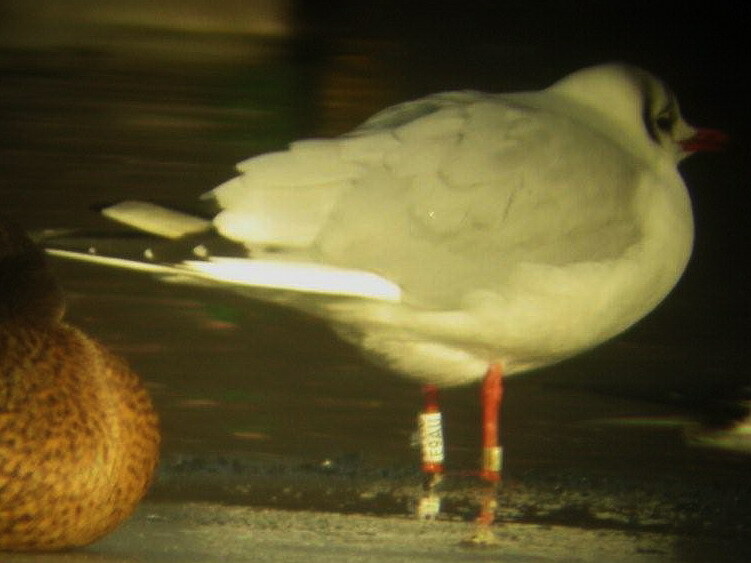 Black-headed Gull yellow AH is ringed in Arnhem, Musis Sacrum on Nov 29th 1996 as a first-year male. Yellow AH breeds in Finland and is wintering annually from October through March in Arnhem. On migration twice in GERMANY (a few days before arrival in Arnhem). 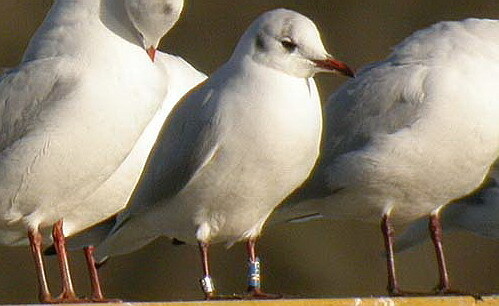 Black-headed Gull yellow VU is ringed as an adult on Jan 16th 1997. From a week onwards, Yellow VU is never seen again in The Netherlands. Next, it is a resident bird in Denmark ! More interesting observations will follow soon.